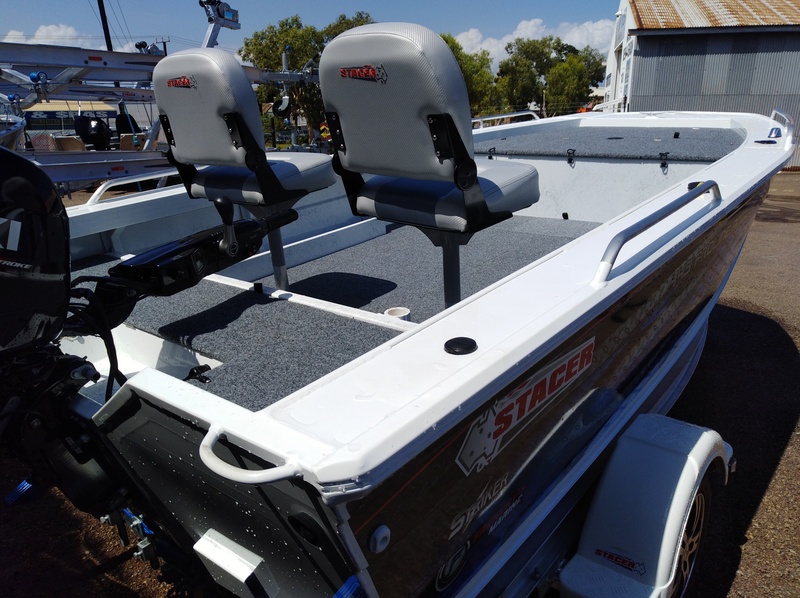 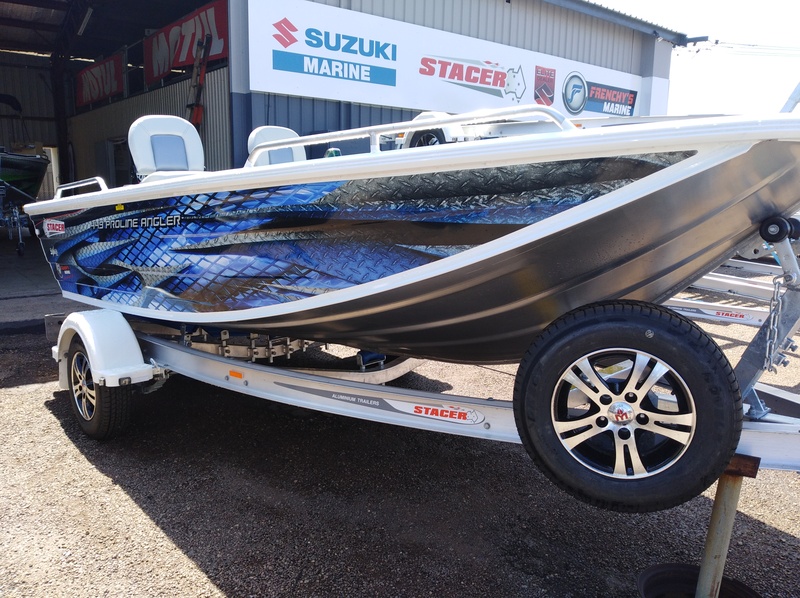 This recently arrived STACER 449 Proline Angler is fitted with a powerful Suzuki DF60 and Blue Intensity wrap, one serious barra weapon with a truckload of functional deck space & storage, plus a great working range thanks to 70 litres of underfloor fuel. 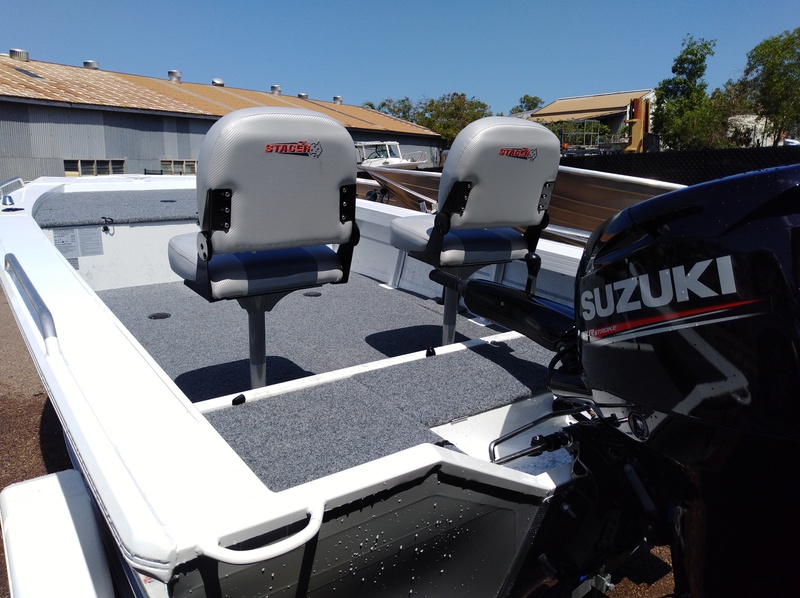 Other features include lights, isolator, bilge pump, quality seats & 4 seat positions Canopy man canopy & cover, all sitting on a STACER Alloy braked 1098kg ATM trailer. 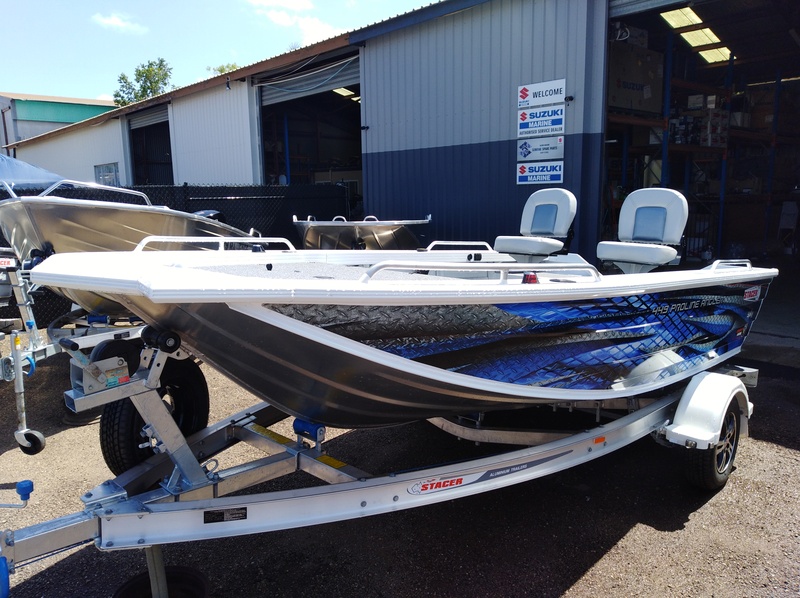 Come on down & check it out, this one wont last!